92% Polyester, 8% Spandex. 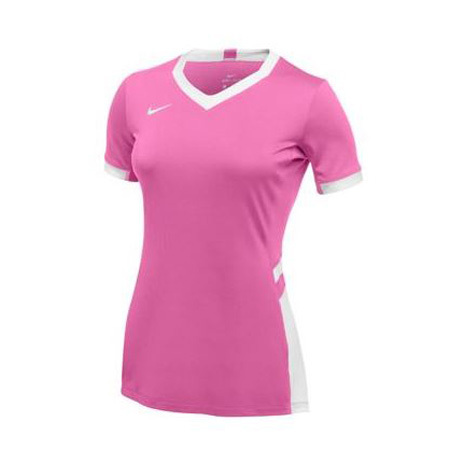 Dri-FIT game jersey with knit mesh back to keep the body cool and for breathability. Featuring an improved neck line for increased comfort. Minimal seams for athletes to move freely. Contrast insets at the neckband, sleeve, and side panel.